A Great Choice Lawn Care and Landscaping is a local, respected and professional commercial landscape design, build, and manage company serving businesses and organizations in the Greater Binghamton and Ithaca NY regions. While many landscape companies use subcontractors to fulfill their management contracts, you can be sure the grounds of your facility will be managed by our professional staff who are dedicated to keeping your land beautiful and safe. The top priority of our team is excellence in customer service and we provide our team with the tools to ensure your expectations are met and exceeded. We offer businesses a full range of commercial landscape services regardless of whether you operate a small business or manage a large business campus. We have experience in maintaining landscaping for apartment complexes, homeowner’s associations, industrial campuses, retail complexes and corporate parks. 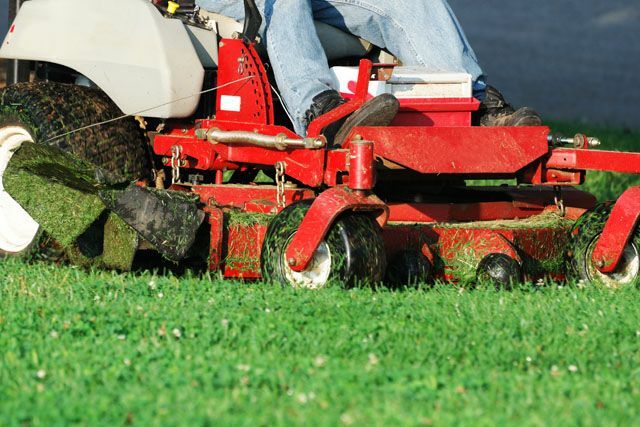 The commercial landscaping team at A Great Choice Lawn Care and Landscaping is here to answer all your questions about scheduling, management and requirements for your property. Our commercial team will work with you or your building manager to understand your expectations and your budget and we will make proactive recommendations to help improve your property based on your long-term needs. These recommendations can include things like adding moisture controls systems, sensors, using native plants and adding more lighting to improve safety. What Makes Us Valuable to Our Commercial Landscape Clients? We have a deep understanding of how a well maintained landscape attracts customers to a business and makes for happy employees. Well cared for landscaping at the workplace has been proven to make for happier, more committed employees that value the professional environment your landscaping is integral in providing. We have the administrative capacity and field experience to create and deliver projects that are on-time, efficiently executed, and stay on-budget. We have the systems in place to make sure you are completely satisfied with the work we provide and out teams continually work to improve our customer feedback process. We have the equipment and technology to get your commercial landscaping project completed in a safe and efficient manner. We also have team members that are highly trained and constantly re-certified to operate all of our machinery. To ensure each property we manage looks its best in every season, we begin each season with a thorough spring clean-up which includes fresh mulch, repairing winter damage and more. 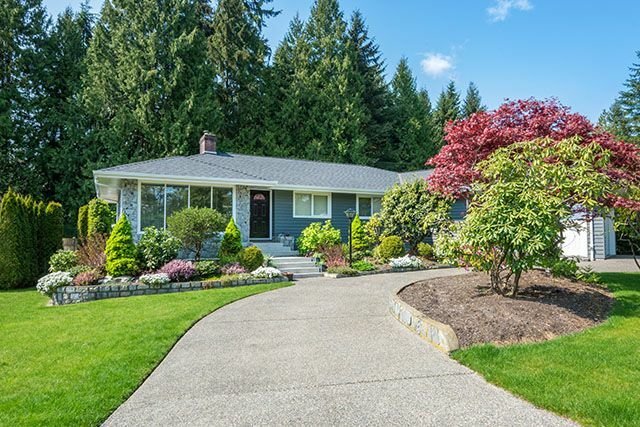 We then begin weekly services which include lawn mowing, weeding, fertilization, debris clean-up, along with insect control, tree and shrub pruning, aeration and more property maintenance services as needed. We monitor the weather during the hot summer months to ensure your greenery is getting enough water and we monitor your irrigation systems to make sure they’re delivering moisture properly. At the end of the season we perform a fall clean-up to remove fallen leaves, cut back perennials, and prepare your property for the winter. Unlike other commercial landscaping contractors, we don’t stop come winter. As your one-stop commercial landscape company, we can maintain your property throughout the cold Binghamton NY winter weather through our commercial snow removal services and holiday lighting design and installation services. We Don’t Just Work with Greenery, we ARE Green! A Great Choice Lawn Care and Landscaping takes you green initiatives seriously. We have experience and knowledge in native plant recommendations along with water management training to make sure your facility not only looks great, but is also environmentally friendly. We’ve helped make our clients existing irrigation systems 50% more efficient by installing rain-sensing sprinkler heads and have saved business hundreds of dollars off their annual utility bills by retrofitting landscape lighting fixtures with LED bulbs. Our commercial team has also worked on countless LEED certified installations and can help guide you through making your landscaping meet LEED requirements for certification. Call 607- 729-3451 or fill out the form on this page set up a meeting with one of our commercial landscape specialists today. We’ll be happy to work with you to create and maintain a beautiful landscape for your facility that fulfills your vision and falls within your budget.